This is the time of year that we rightfully contemplate the noble Turkey. The very first thing we notice about this large member of the Galliformes is that there is a wild version and a domestic version, and although the two are rather different, they are both given the same species name, Meleagris gallopavo. This is not entirely unknown among domestic animals, but many domesticates have no living wild version. Thus, the cattle we raise for meat and dairy are sometimes called Bos taurus while the extinct wild form is always called Bos primigenius. The domestic cat has the uninspired name Felis catus in some circles, or otherwise, Felis silvestris while the wild version (not the feral version, but the wild cat that lives in Africa today) was once known by a Latin binomial that is no longer polite to say, for a while as Felix lybica, and now, owing to the trend of reconflating wild and domestic forms when they are known to interbreed, as Felis silvestris lybica. The domestic dog was once and still often is Canis familiaris as opposed to the wolf, Canis lupus, but the former which is really a subspecies of the latter is now Canis lupus familiaris. I don’t believe, but this is subject to correction, that the wild and domestic Turkey were ever called by different binomials. Photograph of a Wild Turkey at Flatrock Brook Nature Center, in Englewood, New Jersey, by Corey. The original distribution of the Wild Turkey is not clearly known, but it existed from the Eastern Seaboard of the US nearly to the Rocky Mountains, avoided some of the more open plains in the north, and occurred in central Mexico. It did not occur in the Yucatan or anywhere near it, and it did not occur on the islands in or near the Caribbean. It may or may not have occurred here and there in the far west; it does now, but these are probably recent introductions. The Wild Turkey was used as a food source by Native Americans throughout its range, as far as I know, but in Central Mexico, it was domesticated by horticultural people. When the Spanish Conquistador Hernán Cortés met up with the Aztecs after 1504, he encountered the domesticated Turkey and was impressed with it. Long before that time Mexican domesticated Turkeys had been adopted by Native Americans in the American Southwest as well. Some time after the Spanish encounter with the Turkey, birds were brought back to Europe where they were raised and became an important source of food and fancy feathers. This is where they got their name. There are a lot of other large Galliforme birds around the world, and before the Spanish were busy conquering the New World, one of these, from Central Asia most likely, was already being imported as a food product and as live birds into Europe. They became known as “Turkie Fowl” (spelling varies) because they were coming from the general direction of Turkey. The “Fowl” was dropped and the term “Turkey” was applied to other large Galliformes that were encountered in the New World. So, when we see lists of things about the Turkey that say it was not named after Turkey (the country) we may wish to reconsider. It is. And it isn’t. It’s complicated. Which brings us to an interesting possible falsehood that we encounter here and there. According to some sources, when the so-called Pilgrims settled in for the First Thanksgiving Dinner with the local Native Americans, in 1620, they dined on Turkey, and this Turkey came from the Old World, from stock that was originally brought to Spain by Columbus. For this to be true, there must have been Turkeys brought over on the Mayflower, and for it to be true in detail, Columbus must have been the guy who brought the Turkey back to the Old World. I’m pretty sure, though, that neither of these assertions can be proven and, in fact, I’m pretty sure they are simply not true. It is possible that Columbus brought Turkeys back to Spain, but if he did, he did not bring them from the Caribbean Islands he spent much of his time in, because they did not exist there. There is no archaeological or historical evidence of wild or domestic Turkey in the region. During the very late 15th century and early 16th century, there are about five or so references to one Spanish explorer or another finding a “Turkey” and maybe or maybe not bringing it back to Europe. All but one of these references are in regions where the Turkey, domestic or wild, simply did not exist so these must have been one of those other large Galliformes being called a “Turkey” because that was the thing to do. The one case that could have been an actual Turkey was a bird spotted in Honduras, where they may or may not have been, by our friend Christopher Columbus. The chance that this was a real Turkey are not great, and the chance that Columbus actually brought breeding stock from Honduras to Spain is not great, so maybe, maybe not. A document dated 24 October 1511 was an order from the Bishop of Valencia for each ship from the Islands and Tierra Firme to bring to Seville ten turkeys, half males and half females, for breeding. Another from the King of Spain dated 30 september 1512 refers to two turkeys which had arrived in Spain from Hispaniola. Diffusion to other european countries subsequently was very rapid. Dates of first arrival listed by Schorger (1966) are: Italy 1520, Germany 1530, France 1538, England 1541, Denmark and Norway 1550, Sweden 1556. By mid–16th century turkeys were no longer a curiosity and they were seldom mentioned. So, the second part of the Pilgrim story is plausible, in that Turkeys were well established in the Old World long before 1620. However, there are two reasons I don’t think they were on the Mayflower. First, the Mayflower included not just hapless Puritans who knew nothing of the New World, but it also included people who had been there before acting as pilots and guides for the Puritans. The trip was probably reasonably well planned and it would have been known to these travelers that game birds, as well as deer and fish, were abundant in the region they were traveling to. Bringing animals that would require feed and water at that early stage would have been unwise. Later on, when all sorts of European stuff was being brought over, including swine and cattle, it would have made sense and it is quite possible that the Wild Turkey populations of New England and the Atlantic Colonies was invaded by escaped domesticates that owe their origin to Aztec farmers in Central Mexico. Second, we have some documents regarding the First Thanksgiving, including a contemporary (probably more or less) account and a slightly later rendering of the story that was probably based on first hand accounts. Both are somewhat propagandistic and probably not fully accurate, but they match other sources of information about the time and place so they can be used albeit with caution. There certainly were birds eaten at the First Thanksgiving if we believe these reports, but they were harvested from the wild. The believability of this is underscored by the fact that the Pilgrims and their guides listed among their possession numerous “fowling pieces” … for hunting wild birds. They may have also had hunting dogs with them as well. Eventually, of course, the wild turkeys in the entire Eastern region of the US were mostly or entirely wiped out in many areas, and it may well be that European stocks contributed to the reintroduction of Turkeys in the New World. Early research suggested that “Fragmented distributions and population bottlenecks due to human activities appear to have increased genetic differentiation among populations” (Leberg 1991). However, one genetic analysis done fairly recently shows that across the US, for the most part, Turkey genetic variability resembles what it would look like if they were a continuous wide ranging species. There is not the kind of patchiness and heterogeneity one might expect if an indigenous population was reduced to a few small refugia, then the expurgated regions repopulated with a mix of a population developed separately for a couple of centuries then re-released and mixed with the indigenous populations now expanding out of the refugia under conditions of conservation and management. In any event, there is the distinct possibility that Wild Turkeys in North America today form a kind of squished up ring species, with an entirely anthropogenic European arm. Which would be weird. Late Preclassic (300 BC–AD 100) turkey remains identified at the archaeological site of El Mirador (Petén, Guatemala) represent the earliest evidence of the Mexican turkey (Meleagris gallopavo) in the ancient Maya world. Archaeological, zooarchaeological, and ancient DNA evidence combine to confirm the identification and context. The natural pre-Hispanic range of the Mexican turkey does not extend south of central Mexico, making the species non-local to the Maya area where another species, the ocellated turkey (Meleagris ocellata), is indigenous. Prior to this discovery, the earliest evidence of M. gallopavo in the Maya area dated to approximately one thousand years later. The El Mirador specimens therefore represent previously unrecorded Preclassic exchange of animals from northern Mesoamerica to the Maya cultural region. As the earliest evidence of M. gallopavo found outside its natural geographic range, the El Mirador turkeys also represent the earliest indirect evidence for Mesoamerican turkey rearing or domestication. The presence of male, female and sub-adult turkeys, and reduced flight morphology further suggests that the El Mirador turkeys were raised in captivity. This supports an argument for the origins of turkey husbandry or at least captive rearing in the Preclassic. 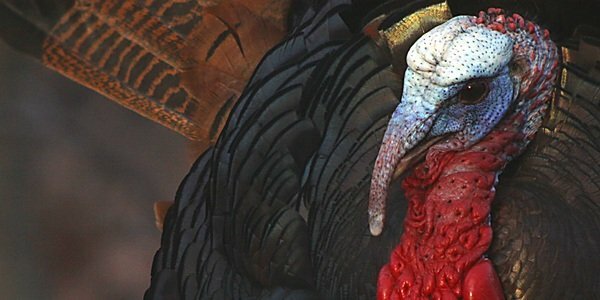 The history of the Wild Turkey, the reduction to its original range, and its re-expansion and re-introduction, remains today unclear and in need of further research. I find that a little surprising since it is our national bird. Well, it isn’t really our national bird, but we all know that it should be. Badenhorst, Shaw, et. al. 2012. The Potential of Osteometric Data for Comprehensive Studies of Turkey (Meleagris gallopavo) Husbandry in the American Southwest. Kiva. 78(1):61–78. Bradford, William. ca 1630–1647. Of Plymouth Plantation. Crawford, R.D. 1992. Introduction to Europe and Diffusion of Domesticated Turkeys from the America. Arch. Zootec. 41 (extra) 307–314. Mock, K.E. et al 2001. Genetic variation across the historical range of the wild turkey (Meleagris gallopavo). Mol. Ecol. 11(4):643–57. Mourt’s Relation: A Relation or Journal of the Beginning and Proceedings of the English Plantation Settled at Plimoth in New England. Anon. ca 1621. Newbold, Bradley, et. al. 2012. Early Holocene Turkey (Meleagris gallopavo) Remains from SOUTHERN Utah: Implications for the Origins of the Puebloan Domestic Turkeys. Kiva 78(1):37–60. Reitz, Elizabeth. The Spanish Colonial Experience and Domestic Animals. Historical Archaeology, Vol. 26. I am on a one-man campaign to have the so-called Wild Turkey renamed. Surely we can do better than ‘WILD’. Of course it’s wild. How about: Northern Turkey? Woodland Turkey? or American Turkey? Or perhaps a little more fancifully: Fleet-footed Turkey, Well-hidden Turkey or Running Turkey? But Not WILD Turkey for goodness sake. I don’t think the Australians call their little parrot the Wild Budgerigar. I once put the idea to the AOU’s bird nomenclature committee (at least, I spoke to one member) . He hummed and haaa’d a bit and then said no. Anyway, I don’t know anyone who says ‘Look, Wild Turkeys!” … they just say “Look, Turkeys!” So, I think you are halfway there. Fascinating, Greg. One point that confuses me is the idea that explorers from the Old World could have brought Wild Turkeys back from Central America. The turkey throughout Central America, at least the Yucatan Peninsula, is the crazily colorful Ocellated Turkey. I don’t believe Wild Turkey extended into Central America. Exactly, they didn’t. The “turkey” that was encountered by some of the Spanish in Central America would have been some other large bird that they incorrectly referred to as turkey. Since the Maya had domesticated Turkeys (even though wild Turkeys did not occur there natively) the Honduran bird CC reports may have been domesticated Turkey. I’m thankful for this splendid and informative post! Interesting post, Greg! I was wondering whether you could explain your thoughts on turkeys being a ring species? I’ve always thought of ring species being more than just a set of populations with a donut-shaped breeding distribution, but instead having reproductive isolation in a set of adjacent populations that still experience potential gene flow the “long way” around the ring. Another question- if the Hispanola bird wasn’t a turkey, what was it? I’ve never birded there but I can’t think of a native large galliform there. I definitely agree with your closing sentences. Hopefully one of these days someone will take a genomic approach to the population expansion of turkeys in North America. It could make a nice comparison to human studies of expansion and migration. As someone who’s done basic science research on turkeys, I can attest to the fact that it can be surprisingly hard to get support for it. Birders barely consider it a real bird, conservation biologists are mainly interested in it’s potential impact on other species, and game managers have an obvious interest in the hunting side of the equation. Wild Turkeys were not “entirely wiped out” in the Eastern U.S. They persisted around the lower Santee River Swamp area of South Carolina continuously through the present day. Indeed, in the 1930s and 40s, these birds were used as stock for reintroduction efforts around North America. Alan, I think you might be right about the “ring species” concept, but I’ m not sure that if a strict definition of not being able to mate at all were applied there would be any ring species left at all. In this case, the ends of the ring are the southernmost end of the species from Central Mexican brought to Europe then their range extended to eastern North America where they then encounter the northernmost end of the species. Since the “species definition” technically allows for ANY form of not interbreeding this works because domestic turkeys live on farms and wild turkeys live in the wild and for all practical purposes they don’t interbreed. Complicating this is the fact that there was systematic intentional interbreeding of wild and domestic turkeys in the past, for various reasons. So, yes, they can (and do) interbreed, which is why it is only “sort of” a ring species. The “turkeys” mentioned south of the range of Meleagris gallopavo, noted by the Spannish, would have been eitehr ocellated turkeys (Meleagris ocellatq) or, really, they could have been anything big, the Spanniards were not birders. Thre are 10 or 11 genera of Cracidae many of which look like turkey. Nate: Right. I meant to say “in many areas” … fixed. Another wrinkle: According to the article cited below, DNA Analysis of ancient bones and coprolites suggests that the domesticated turkeys of the Anasazi in the Southwest were a separate instance of domestication. This breed may have no modern descendants, however. This post was originally going o be about this and other details of turkey domestication! But hen the Spanish thing caught my attention.